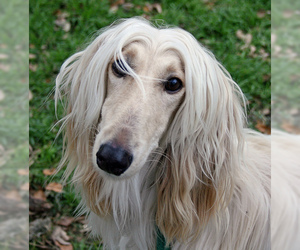 Overview: The Afghan hound was discovered by the Western World in Afghanistan and surrounding regions during the 19th century. 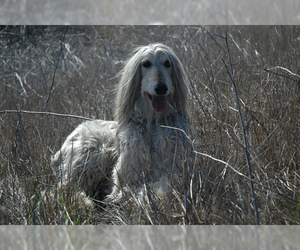 As the breed developed in Afghanistan, two distinct types evolved from the southern and western desert regions and the northern regions. 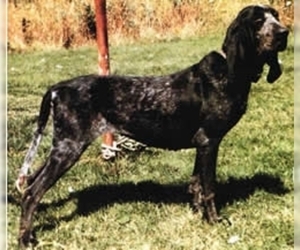 During WWI, the breed literally disappeared in the Western world. 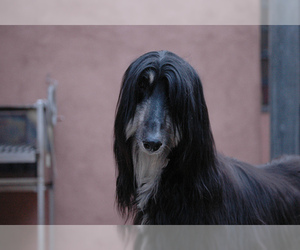 The start of the Afghan Hounds we have today dates back to 1920, when a group of them was brought to Scotland.The Afghan Hound is a hound that is one of the oldest dog breeds in existence. 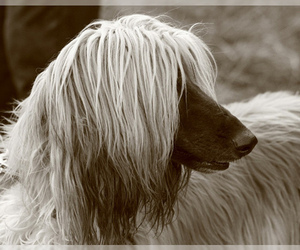 Distinguished by its thick, fine, silky coat and its tail with a ring curl at the end, the breed acquired its unique features in the cold mountains of Afghanistan. 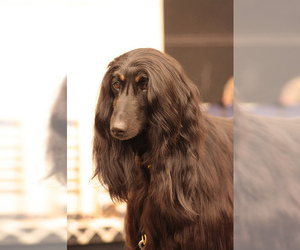 The Afghan Hound breed is no longer used for hunting, although it can be seen in the sport of lure coursing Spectacular beauty of Afghan Hound dogs caused them to become highly desirable show dogs and pets. 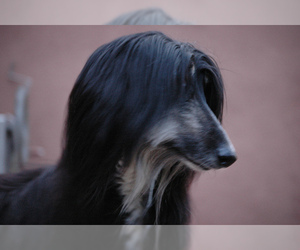 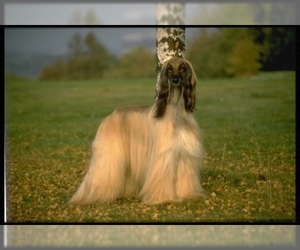 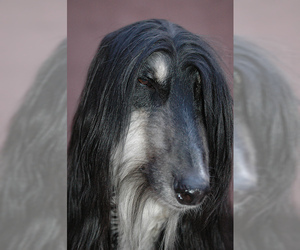 Character: Afghan Hounds are calm indoors, yet active outside. 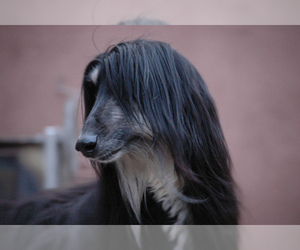 They're intelligent, proud, and noble. 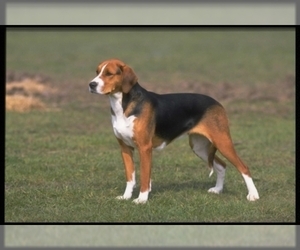 This breed has a high prey drive and may not get along with small animals. 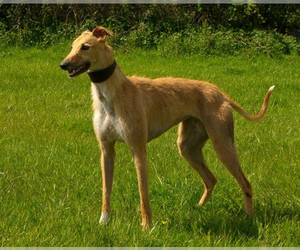 Temperament: This breed is often very dominant toward other males. 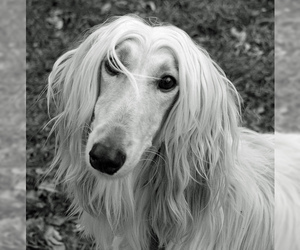 They are tolerant of children who treat them with respect.The temperament of the typical Afghan Hound can be aloof and dignified, but happy and clownish when it's playing. 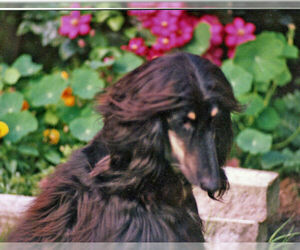 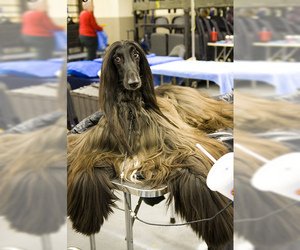 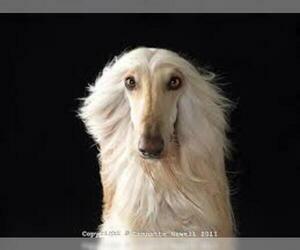 Care: The Afghan Hound must be groomed very carefully for a full hour, twice weekly. 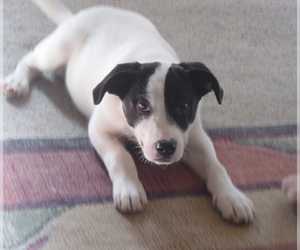 Ears must be kept clean. 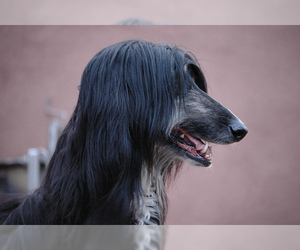 Training: This breed is fairly difficult to train, due to its independent nature.They are independent thinkers who don't particularly care about pleasing you. 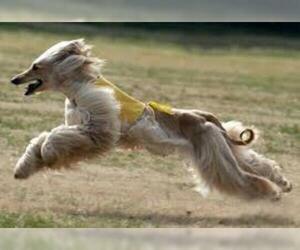 They may display passive resistance by bracing their legs and refusing to move. 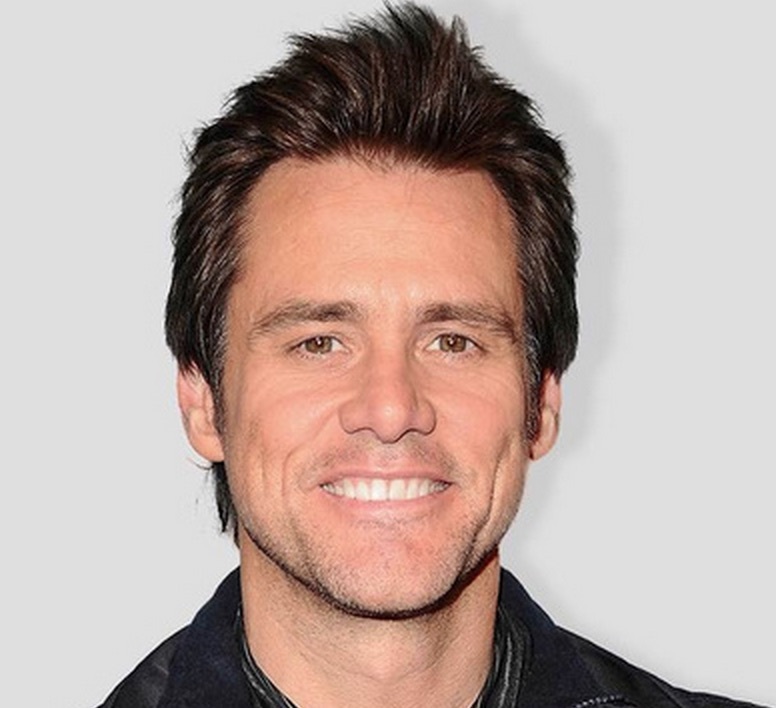 You must show them, through absolute you mean what you say. 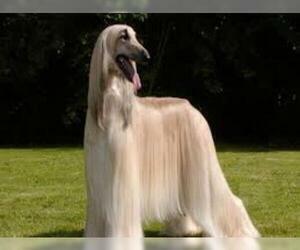 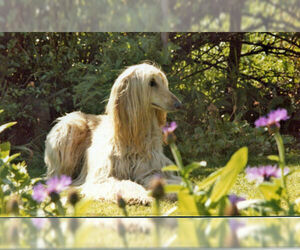 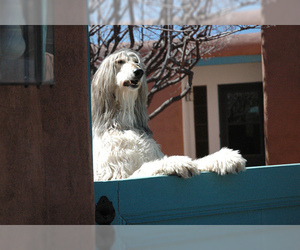 Activity: The Afghan Hound needs lots of exercise and space to allow it to burn off steam. 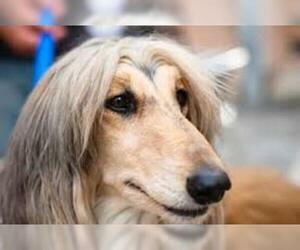 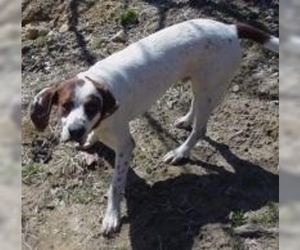 Health Issue: This breed seems to have a low pain tolerance, so they may suffer with minor injuries.